A tooth that has been knocked out starts to die within 15 minutes, but if you put it in milk or hold it in your mouth it will survive longer. See a dentist ASAP!!! Happy Martin Luther King Jr. Day!!!!!! As usual my visit to Pure Dental was great. Always greeted upon arrival and seen promptly, the staff is courteous and friendly. After 20 years in the area I have found the perfect dentist for our whole family!! 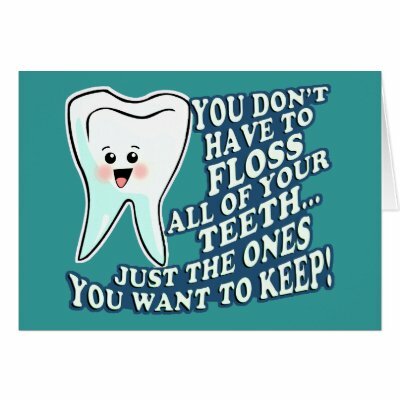 -Jean D.
Did you know if you don't floss, you miss cleaning 35% of your tooth surfaces?!? Always replace a toothbrush after you have had a cold, sore throat or notorious infection. The bacteria on the toothbrush can lead to re-infection.